My articles are written from my perspective as a long time writer on HubPages, a retired healthcare professional and an educated patient. 10/31/2015 - Recent fan mail and comments are asking for this article to be more detailed. There are many articles about BiPolar Disorder on HubPages and other websites. This article is meant to give a very brief overview, not indepth research. Many books and studies have been written on this topic. The purpose of this article was provide insight, highlight some of the more prominent symptoms and leave readers with some hope and links for more information. Thank you. In the past, this was a much misdiagnosed disorder but Bipolar Disorder is prevalent in our society now more than ever before. Whether that is because people are more forthcoming to get treatment or because the stigma of living with being different has been somewhat lifted is not clear. Sometimes Bipolar Disorder is not a primary diagnosis because it can also come along as excess baggage of some other mental health or physical health ailment. A side effect, if you will. For the purposes of this hub, we will be addressing Bipolar Disorder as a primary diagnosis. 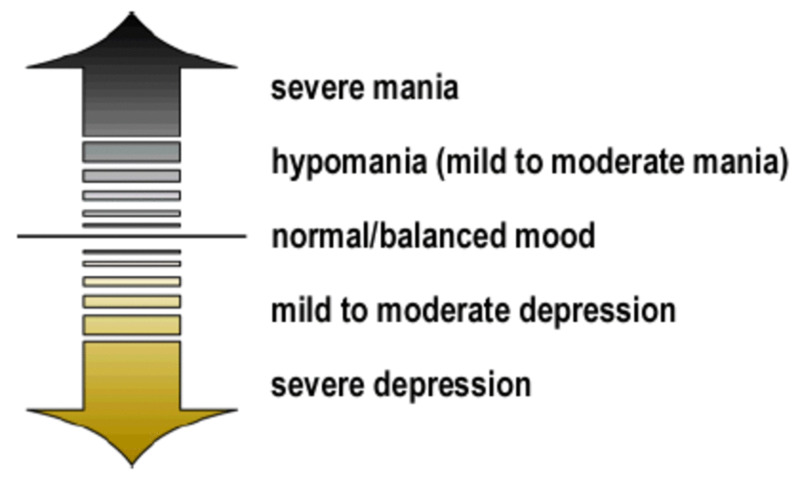 Bipolar Disorder used to be known under the name "manic depression" and was recognized in a patient as: constantly changing moods of alternating periods of "highs" - mania - and "lows" - depression. This is referred to as "cycling." Although these periods could last from a few hours to as long as several months, it varies from patient to patient. Sometimes patients have only a very brief period of intenseness and would never even associate it with having bipolar disorder. In other patients it may simply be looked at as frequent mood changes or changes in the level of their already diagnosed condition of depression. In some cases, bipolar disorder can as long as five years or more to be diagnosed because a patient's normal moods may be their existence longer than episodes of mania and depression. It is when the two are reversed that the patient enters treatment. A person with bipolar disorder is capable of hiding their symptoms in early stages and this also leads to delay in diagnosis. One episode of mania or one episode of depression does not confirm a diagnosis of Bipolar Disorder. It is the patient who is exhausted from trying to deal with living between the two extremes (cycling) who seeks treatment to get off the roller coaster so they can resume their life activities. In any case, never let a physician or therapist talk you into electroshock therapy (ECT) treatments as a first treatment, without having tried a couple of medications first. ECT is a last resort for patients who do not respond to conventional treatment. Many patients can be maintained with lithium and other types of drugs for life. While it is true that for every treatment, there are side effects, please keep in mind that with ECT, the residual effects can be curative or as in most cases, damaging. Any introduction of electricity into the body for whatever purpose will change your sensations - sense of taste, touch, vision, hearing, cardiac, brain function, and other body systems. In some countries, ECT is offered before any other treatment is considered. In the United States and neighboring countries, it is the opposite. Please investigate all options before making a decision. As is my way, I always advise taking someone with you to your appointments because sometimes clearer heads prevail when it comes to options presented and in decision-making. You are the patient and want whatever treatment will cure you. But sometimes a treatment is worse than the disease. A bystander can often point out the differences and save you from approving a treatment plan that they (someone who does not have this diagnosis) would never want for their loved one. There are always residual effects of ECT. Bipolar Disorder is not exclusive to adults. Children and adolescents are being diagnosed each year. Here is a video explaining what to look for. As per interviews in treatment centers, the bipolar person who is in recovery will often say that their manic episodes were much more preferable than their depressive episodes. which stands to reason. Who wouldn't want to be in a constant state of happiness instead of being depressed? It is when the manic episodes become exhausting that the depressive episodes begin. How long the person "needs to remain" in the depressive episodes will be governed by how exhausted they are from the intensity of their manic period. Living with bipolar disorder can be challenging in maintaining a regular lifestyle, and even more so if you are a public figure or famous person. All your manic and depressive episodes become front page news. The famous person tends to seek or receive treatment much faster than the average patient who does not have a public life as a famous person. The average person's episodes are usually contained within the family unit so that seeking treatment is delayed, mostly due to families "just dealing with Joe's mood swings" --sort of a family in denial. Or the patient might put on a great front when involved in family activities so that his/her manic or depressive moods are suppressed in mixed company. It is only when he/she starts to act erratic or irresponsible about his/her person, abode, family responsibilities or finances that family members seem to intercede. 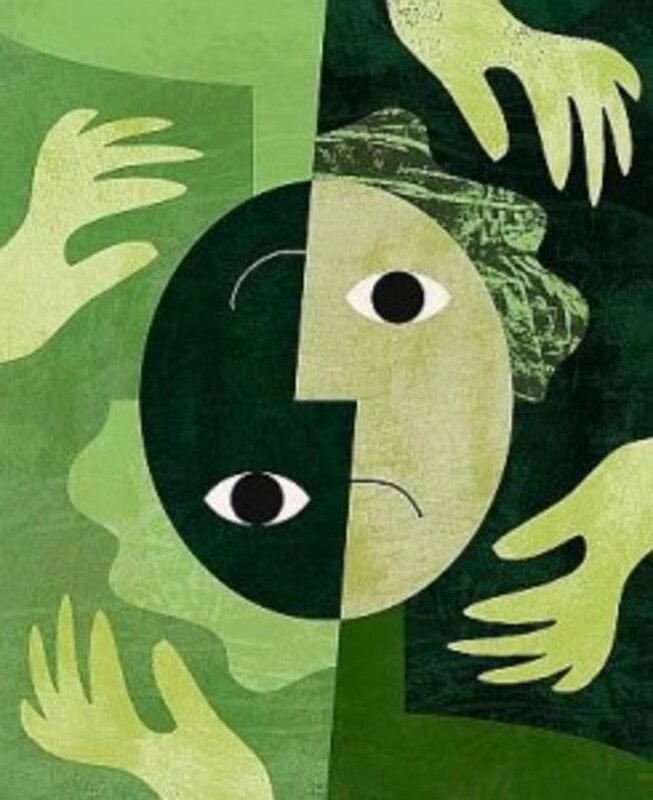 The bipolar person is quite capable and convincing when refusing outside help for what others perceive as irresponsibility, depression, mania and other erratic behavior. He/she can become aggressive and overbearing in an effort to keep others at bay when this would be a time to get his/her foot in the door of getting a diagnosis and treatment. Families are often frustrated because the bipolar patient will often become very destructive with spending habits, alcohol consumption and other high risk behaviors. Patients with bipolar disorder have attempted suicide often but in most instances it is a case of "I really didn't mean it." This may be their way of asking for help. An astute friend or family member should take advantage of these moments using a well-planned, well-executed intervention. It is often the only way to get this patient the help he/she needs. Ongoing continued support will help the patient to stay with the treatment plan that will ultimately help return them to a normal life. The following video is about a Mennonite teen's story of diagnosis, treatment and medication history. Lab tests - blood and urine tests to identify or rule out any physical problems that could be causing your symptoms. Psychological evaluation - you'll be asked to fill out a self assessment form and enter a discussion about your thoughts, feelings and behavior patterns. After you give permission, family members or close friends may be asked to tell what they know about your symptoms and any mania or depression episodes they observed. Mood charting - you might be asked to keep a daily record of your moods, sleep patterns or other factors to help with diagnosis and determine the right treatment. Click here for types of Bipolar Disorder and treatment options and medication options and alternative treatment options. Are celebrities more prone to becoming Bipolar? It may seem like a lot of celebrities are afflicted with bipolar disorder, but the reality is that the manic phase of bipolar brings out one's creative side. Here's a video that gets to the heart of this interesting concept. 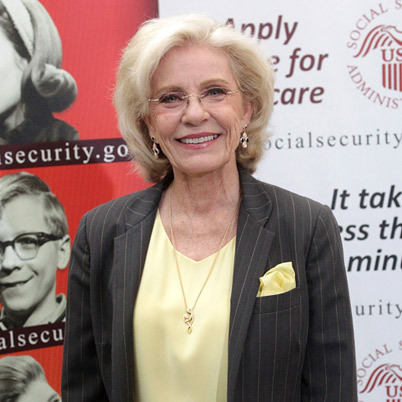 Patty Duke, best known for playing twin cousins on the hit 1963 Patty Duke Show, talks candidly about her struggles with Bipolar Disorder, her life on stage, on television, in movies, and as an author. She was born Anna Marie Duke on December 14, 1946 to an alcoholic father and a mother who suffered from clinical depression. When Anna was eight, the career of her mother's brother was managed by John and Ethel Ross. So her mother turned her care over to John and Ethel Ross, who would be the only parent figures she would know from then on.. Although the Rosses did manage her career so that she became a success, it was not without a great deal of exploitation and manipulation. 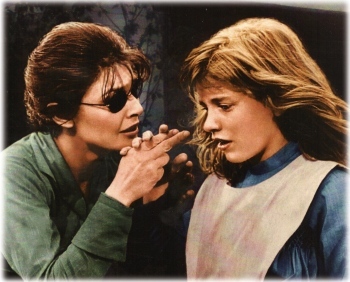 In order to get work, they falsified her resume by stating she was two years younger (a common practice in Hollywood) and changed her name to Patty, telling her that Anna was now dead. Patty talks about the many years of depression, suicide attempts and her personal life of four marriages in her book, "Call Me Anna." 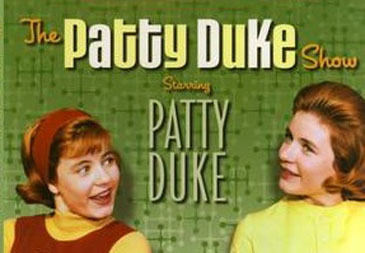 Click here for the full text interview with Patty Duke. Kristy McNichol - author, actress - 1980s series "Family"
Updated 2/21/2014 by Rachael O'Halloran to replace pixelated copyscape logos and to correct format issues. Edited 12/14/2014 by Rachael O'Halloran to remove broken links, remove videos and replace pixelated photos. To successfully manage living with Bipolar Disorder, it is important to have a good support system. If you are apprehensive about who to share your diagnosis with, then go ahead and be selective. Test the waters first with other less intense topics. Know that each person will react differently when you tell them your diagnosis. Many people just don't understand the disorder but with the right attitude, they can learn about it from you. You are always going to run into one person who will not be so accepting and may even make you wish you never told them. Put it aside and concentrate on the positive. You are finally in a good place in your life. You are being managed with therapy and medication. You like yourself, which is all important. If you lose one friend over this, you will make others. By rejecting you, this person proved they were not a friend you would be able to count on as part of your support system network. By living as a success story, others will gravitate to you. That, and continuing your program will be the true measure of your successful management of living with Bipolar Disorder. It is not the dirty little secret that was once associated with the diagnosis. Keeping (and adding) good friends who are able to help you out in a crisis and still remain your friends after, means you have successfully found a good support system. What a great kindness for you taking this over. What a legacy she has left. The theft is not surprising because of the quality of her hubs. Blessings. When Anne DiGeorge passed away, three friends were asked by her husband to moderate this account. Two decided that all the theft of her work was too much work to keep track of and to keep up with, in filing DMCAs. So I am the only one left. All the hubs are from awordlover's files, which I have on flash drives and I have been publishing them a little at a time. There is high theft on this account, so I was reluctant to keep publishing but will do it because I promised to do it. When it is me speaking, I make sure I sign my own name. If something ever happens to me and someone else takes over this account, they will sign their name. awordlover is the name on the account which cannot be changed and Anne DiGeorge was awordlover. You know me as Rachael O'Halloran on my own account. So I hope that helps clear up the confusion. About this hub, awordlover wrote it and I transferred it from flash drive to the hub form. I did not research it. I left her information intact and the only thing I do when I put them on Hubpages is add pictures, videos and links where relevant. I will look it over and see if I can eliminate some of the videos so it is not so crowded. 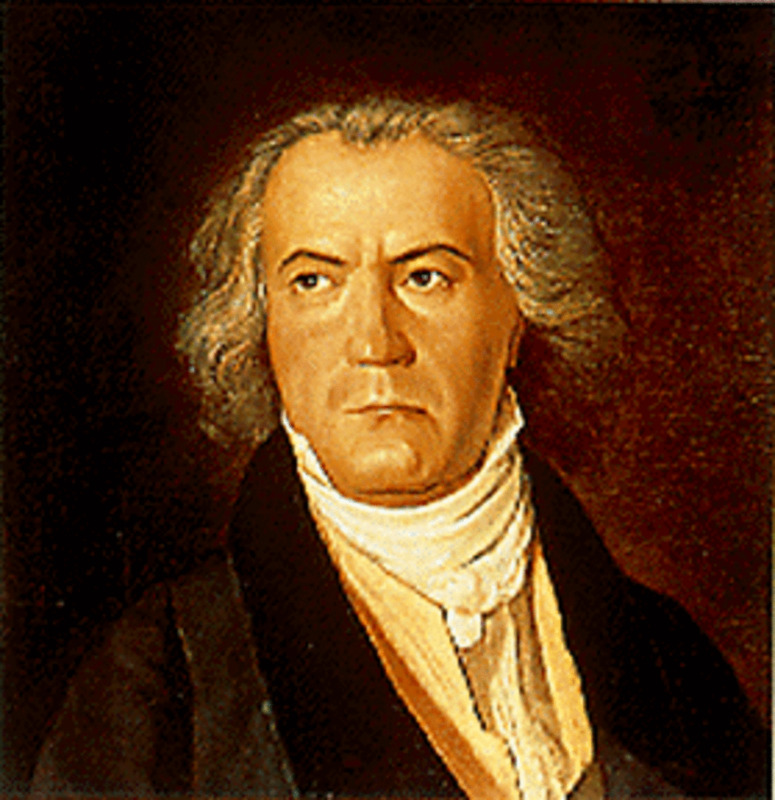 I have just been publishing the comments and thanking people for reading. I know almost nothing about this condition, I'm sorry but I'm not a medical writer like awordlover was. I was a nurse and my niche was home care so there is much I don't know. I thank you for your comments so that readers have some more knowledge about the topic. Great Hub. A bit too many videos though. The information you gave is a good basic explanation. However, there are so many variations and symptoms we could add. For example, there is rapid cycling in either Bipolar l or ll. This is rather frustrating. Being a yo yo is no fun. There is also mixed mood, which is being manic and depressed at the same time. This is a rather dangerous symptom and more prone to suicide. Also, mania can manifest has extreme irritability. This was a great hub and I will pass it on. I am confused about who writes these hubs and why it's moderated by different people. Not sure I understand it but I love the hubs. Very informative. brakel2 - Hello Audrey, This hub originally listed medication choices by name, but a comment by a reader said it was too much information and could potentially be harmful. He said it could cause a reader to question their doctor's care and management. He obviously misread the way Anne wrote it. While I did not agree, I did remove the medication list and put a link to a website in its place. I also know a few people at work who are bipolar and they are very high functioning as long as they stay on their medications. This disease used to be closeted and now with awareness and patients coming forward to speak out, those who suspect they have it are getting medical attention or intervention quicker so they can live productive lives. Thank you for your supportive comments, Audrey. jpcmc - I'm sorry for not answering your comment. There was another moderator here 4 weeks ago, but I am in place now. Thank you for your comment of encouragement to others. People with bipolar disorder require all the support they can get from their families. 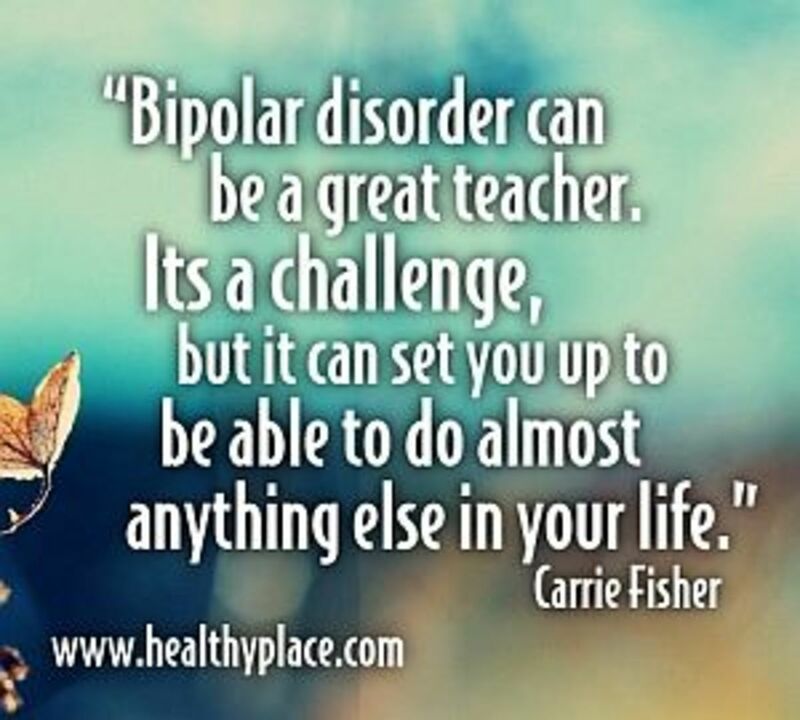 If you know someone with bipolar disorder, try to help them and their families.